The entire nation has been fixated on the Trump-Russia probe and the Senate Republicans’ healthcare plan. Everyone wants to know what kind of healthcare coverage they can expect under whatever new healthcare plan will replace Obamacare. Many are also wondering what will happen to their existing healthcare plans if the new GOP plan is passed and even if it isn’t passed. With more and more insurance providers cancelling policies and pulling out of the Obamacare exchanges, they wonder how much longer their current policies will still be good and how much the rates will increase next year. Parents of kids with asthma and/or allergies are living with the uncertainty of not knowing what kind of healthcare they’ll have the next time they have to take their kids to the doctor or hospital in the case of a bad asthma attack. Will they still have coverage in the near future? At the moment, no one can say for certain. How many kids and families are we talking about? According to PediatricAsthma.org, asthma affects more children than adults. 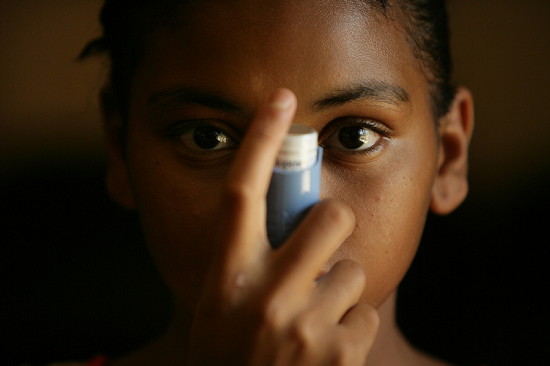 “Asthma is the most common chronic condition among children under the age of 18, affecting 6.3 million. 24 percent of children between the ages of 5 and 17 have some limited activity due to asthma. Asthma is the leading cause of missed school days among children ages 5 to 17. “Children with recurrent cough, wheezing, chest tightness or shortness of breath may have one or more forms of asthma. Left untreated, asthmatic children often have less stamina than other children, or avoid physical activities to prevent coughing or wheezing. Sometimes they will complain that their chest hurts or that they can not catch their breath. Colds may go straight to their chest. Or, they may cough when sick, particularly at night. Once Senate Republicans unveiled their Obamacare replacement plan, they have come under a great deal of criticism. It didn’t help when the Congressional Budget Office came out with their appraisal of the Senate GOP plan, especially when they stated that 22 million Americans would lose their health coverage with the next 10 years. Notice that the liberal mainstream media is not adding the qualifier of the ‘next 10 years- when they report on the CBO analysis. All we hear from the media is that 22 million will lose their health care. Of the 22 million reported by the CBO, about 15 million are those currently receiving coverage under Medicaid. Medicaid was created to help low-income people, children, disabled, elderly in nursing homes and pregnant women. However, what the CBO report is NOT saying is that Obamacare greatly expanded Medicaid coverage so that millions more would qualify. Additionally, what they are NOT saying is that when Obama expanded Medicaid, the federal government would pay the states 50% of the cost, but over the past several years, many states have complained that they have not been receiving their full 50% federal reimbursement. Most states cannot afford to pick up the additional cost of the expanded Medicaid under Obamacare. But how trustworthy is the CBO report? Not only did the CBO report drastically over-estimate Obamacare coverage, but since Obamacare went into effect, millions more Americans have lost their healthcare coverage. Obamacare created a series of taxpayer-funded state CO-OPs, designed to help with lower cost healthcare coverage. The Democratic-controlled Congress voted to fund $6 billion of taxpayer money to fund the CO-OPs. By April of 2016 12 of the 23 CO-OPs in 14 states had failed, leaving 740,000 people without coverage. Then consider how many major healthcare insurance providers have dropped handling Obamacare exchange policies because they were losing millions of dollars on those policies. In September 2016, UnitedHealth Group cut back on their policies, costing nearly 150,000 people their coverage. In 2015, 367,000 people in Texas lost their healthcare coverage as direct result of Obamacare. Another report in 2015 reported that 10 million people were losing their employer provided healthcare, also due to Obamacare regulations. So just how accurate and reliable is the current CBO report on the latest Senate GOPcare? If it’s anywhere near as accurate as their reports on Obamacare, you can take their report and chuck it in the trash because that’s all it is, liberal propaganda trash and nothing more. Will Your Healthcare Insurance Cover Surgical Mistakes? Currently, everyone is wondering what’s going to happen to their healthcare coverage. If you have employer provided coverage, then you are in a great situation. If you don’t have employer provided healthcare coverage, then your healthcare coverage is truly up in the air, waiting to see what Republicans are going to end up with to push on the American people. Will you be able to afford coverage under a new GOPcare plan? Will your policy cover the costs of any surgical mistakes made by doctors operating on you? Maybe you should also be asking if there is anything you can do to help prevent surgical mistakes from happening to you? Doctors and surgeons have a great deal of schooling and continuous training to hone their skills, but they are human and do make mistakes. Many joke and say that’s why they call it ‘practicing’ medicine instead of actually performing medicine. In case you’ve never thought about it, a study conducted last year by Johns Hopkins found that medical errors account for 10% of all deaths in the US; as many as 250,000 deaths a year in the United States, making it the third leading cause of death in the US. When a doctor prescribes a treatment for something such as an illness, do you just blindly take whatever medication is prescribed or do your take time to research what they are and what side effects they may have? Sometimes, taking the wrong medication can only lead to more and serious health issues. Among the mistakes doctors and surgeons make is what’s called ‘wrong-site surgery’. This happens when a doctor operates on the wrong person or on the wrong part of the body. The consequences of ‘wrong-site surgery’ can be extremely harmful and even deadly. One example was a man who had been having pain in one of his testicles. The doctor found it had atrophied after being injured years early and scheduled surgery to remove it. Turns out the surgeon removed his healthy testicle, leaving him permanently sterile and short of vital male hormones. We’ve all heard stories of doctors removing or operating on wrong organs, the wrong leg, wrong arm, etc. So, what can you as he patient do to protect yourself? 1.) Ask lots of questions. Don’t go into any medical procedure or operation if you have any questions or concerns that haven’t been answered. You have the right to learn as much as you can before undergoing a scalpel or laser or anything else. 2.) Detail everything. Not only should you make sure you know as much as possible and gather all of the information you need, but you also need to make sure the doctor or surgeon knows everything he or she needs to know. Tell them of every medical condition and reaction you’ve ever had. Also make sure they know about every medication and over the counter medicines, vitamins and supplements you take. You and your doctor may be unaware that something you are taking could impact the procedure and/or recovery. 3.) Know your surgeon or doctor before any procedure. Frequently, your doctor may arrange for you to have surgery with a surgeon you’ve never met. If the surgeon doesn’t know you, how will he or she know they are operating on the right person? 4.) Research the procedure. Learn as much as you can about whatever procedure you are about to have. Sometimes research can find a less invasive or cheaper procedure than the one you are about to have. 5.) Find a specialist. Don’t let a general surgeon cut you open. Find someone who specializes in the procedure you are having. The better experienced a specialist is, the less likely he or she may make any mistakes. 6.) Highlight the surgery site yourself. If allowed by the doctor or surgeon, mark or highlight the area or part of your body that is about to be operated on. If it’s the right leg, then mark the right leg and if necessary, write on your other leg – WRONG LEG. 7.) Have a friend or family member with you. Don’t go it alone. Not only should you bring a friend of family member, but make sure they know as much as you do about the procedure you are having. 8.) Ask your insurance provider if your policy covers medical mistakes and correcting them. Not every policy does. Do everything you can to prepare yourself and whoever is going to accompany you, for whatever procedure you are having. The more you know, the better you can help prevent mistakes on the part of your doctor or surgeon. It may save you a lot of money and a lot of misery. When Bill Clinton was President, First Lady Hillary tried to push for a nationalized healthcare system. She pointed to the national healthcare programs in Canada and the Great Britain but her efforts fell short. One of the campaign platforms Barack Obama first ran on in 2008 was passing a nationalize healthcare program. He, and congressional Democrats, continued to tell the American people that it was necessary to keep the costs of healthcare affordable for everyone. In 2009, many public polls revealed that as much as 65% to 75% of the American people were opposed to any form of nationalized healthcare program. Many people believed that the federal government should stay out of private business as their track record was dismal at best. However, Democrats didn’t care what the American people really wanted. They had an agenda to push a nationalized healthcare program and they were going to make sure that happened. In March 2010, Barack Obama signed the 2000+ page Patient Protection and Affordable Care Act into law. 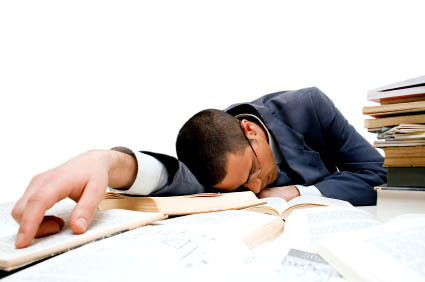 Many of the provisions took effect on January 1, 2014, with other provisions following. By 2020, most of the provisions of what is known as Obamacare are to be fully implemented. Another campaign promise of Obama’s was to not raise taxes on middle and lower-class Americans. However, Obamacare contained 20 tax increases, most of which would directly or indirectly impact many senior citizens, people with serious or chronic conditions. Putting all that aside, the underlying principle for the implementation of Obamacare had nothing to do with making healthcare affordable. What Obamacare was all about is forcing a national socialist program on the nation. Around 1900, progressives set a plan in motion to change America to a socialist nation. they identified three key hurdles to overcome. One was the strong Christian foundation that permeated most all of America. Second was the strong family tradition which included marriage of one man with one woman. The third was free enterprise and American patriotism. At the time, they agreed that to change these three things had to be gradual and would take about 100 years. Take a moment to look at where America is today. We are no longer a Christian nation. Traditional marriage has been legally destroyed by the Obama administration. Many of our public schools are teaching that America is the world’s enemy and that free enterprise is evil. The results of that education was revealed in a recent poll were 44% of millennials said they prefer socialism over free enterprise. Sen. Bernie Sanders has openly professed to being a socialist. A few short decades ago, no one claiming to be a socialist would have come near as close as Sanders did to winning the nomination of a major political party. In reality, most of the policies and agenda of the Democratic Party are socialist in nature. The term ‘social justice’ is the new politically correct way of saying socialism, and it’s something that most Democrats use on a regular basis. Obamacare had everything to do with socialism and nothing to do with affordable healthcare. Therefore, whatever plan Republicans come up with, will just be another socialist program to replace the one that’s already in place. It’s replacing one evil with another evil. Look at many of the other nations that have a nationalize (socialist) healthcare system. Great Britain’s system is having financial trouble and covering less and the people have to wait longer for any care. Canada’s system is also having financial problems. Venezuela is a socialist nation with a national socialized healthcare system and thousands of Venezuelans are traveling into Colombia to for medical treatment, especially pregnant women. America and the American people cannot afford the cost of a nationalized healthcare program that would provide true affordable healthcare for everyone. It would bankrupt the nation and the American people. It’s a proven fact that government control of any private industry is the worst possible situation. The best thing Republicans can do is to just let Obamacare continue to implode on itself and place 100% of the blame on the Democrats who forced it upon us. Tell the people that Obamacare and any replacement is nothing more than a socialist program and America is not a socialist nation. Allow Obamacare to completely collapse upon itself and then return the healthcare industry to private and free enterprise. Any form of government sponsored or mandated healthcare system is socialism and a financial disaster. Obamacare was America’s first real national socialist program that had more to do with socialism than with affordable healthcare. It was also Barack Obama’s way of trying to disguise tax hikes after promising to not raise taxes, as Obamacare contained 20 hidden taxes that hit the elderly and chronically ill the hardest and less able to afford it. Canada has a national healthcare system and they are running into a great many financial problems. Great Britain has a national healthcare system that is in serious financial difficulty. Many British people have found that the government healthcare program is covering less while their taxes are costing more. Venezuela is a socialist nation with a national healthcare system. Not only is their healthcare system in serious financial difficulty, but many Venezuelans have been crossing into neighboring Colombia to get medical treatment, especially pregnant women. This is the paradox that congressional Republicans have found themselves in. How do they replace one failing socialist healthcare system with another that they hope doesn’t fail and won’t cost the American people an arm and a leg, physically and financially? California Democrats believe they have the solution, but their solution is not only a step closer to socialism but is an absolute financial disaster for the state and the citizens of California. It’s called a single payer healthcare system. So, what is a single-payer healthcare system? California’s single-payer healthcare bill is SB 562. Why is it a financial disaster? The sponsors and supporters of the bill estimate it will cost the state about $400 billion a year. Considering the entire state budget is only $180 billion a year, it’s easy to do the math and see that it’s not financially feasible. Guess how Democrats plan on paying for SB 562? They figure they will be able to gather $200 billion being used to pay for current healthcare expenses at the state and local levels. That still leaves them about $200 billion short. Guess where that money will come from You guessed it, increased taxes. Taxes are already pretty high in California, but they will have to more than double them in order to raise $200 billion a year. How many people can afford to pay two and a half to three times the amount of taxes they are already paying? Many Democrats want a national single-payer healthcare plan. If you extrapolate that to a national single-payer healthcare plan, it would cost at least $3.21 TRILLION a year. The current federal budget for 2017 is only $3.65 trillion, so for a national single-payer healthcare system, the government would have to increase federal taxes across the board by at least twofold. SB 562 was just passed by the California State Senate by a 23-14 vote. 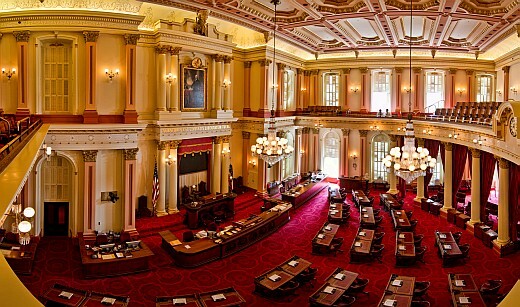 The California senate is composed of 27 Democrats and 13 Republicans. The bill now moves to the House where Democrats hold a 55 to 25 majority. Governor Jerry Brown is as liberal and gullible as any Democrat in California and would likely sign the bill if it passed the House and makes it to his desk. If so, look for the entire economy of California to collapse. What are the principles that made America the great, powerful and prosperous nation it once was? How prosperous are nations who have embraced the various forms of socialism? Generally, these nations have a few wealthy individuals who control and dictate all of life to the majority of the citizens and what has happened to most of them? Why did the former Soviet Union collapse from within and why did the Berlin Wall come down, leading to a unified Germany? Why has the Affordable Care Act, also known as Obamacare, been such an utter failure? Would you believe that all of these things are tied together? It’s called socialism and socialistic economy. The Soviet Union collapsed because their socialist economy collapsed from within. The Berlin Wall was torn down when the socialistic economy of East Germany collapsed, leading to a unified Germany. Obamacare failed because it’s a socialistic program to force government control over the people and health industry. Think about it, Great Britain launched their socialist national healthcare system, known as the National Health Service in 1948. For over a decade, it has been plagued with financial woes. I have close friends in England who have shared their struggles with the National Health Service. One friend had to wait 7 months to have her extremely inflamed and painful gall bladder removed because of the NHS red tape, She and others I know in the UK have told me that as the NHS runs into more financial difficulty, the taxes to pay for it have gone up and their coverage has gone down. A growing number of common medical procedures that were once covered are no longer covered, meaning that the British people are having to pay more and more out of pocket for their medical needs. 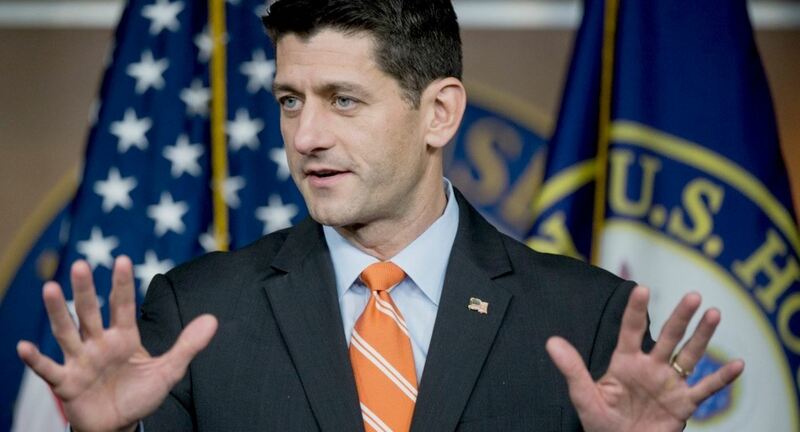 Now, the Republicans in Congress are trying to come up with a workable replacement for Obamacare, but they have been trapped by the socialist Democrats to replace one failed socialist national healthcare system with another national socialist healthcare system that will also be destined to fail. The simple and best solution is to look at what made America the great, powerful and prosperous nation it once was. America was built on a free market system with healthy business competition. Generally, when a number of companies compete for the same business, it keeps the prices lower. So, what is the obvious and seemingly elusive key to real healthcare reform? The Promotion of a free market system with healthy competition between healthcare providers. If only Republicans in Congress would take the lessons of American history and use them to reform healthcare from what the socialistic Democrats forced upon on us to something that will be economically more feasible for the American people and the insurance companies. The news is full of all kinds of reports on what’s in and not in the proposed GOP healthcare plan which Republicans hope will replace Obamacare. Realize that most of the reports the public are hearing or reading are coming from ultra-liberal mainstream media outlets who are bent on destroying everything done by conservatives, Republicans and the Trump administration. The relationship between liberals (mainstream media and Democrats) and conservatives (Republicans and Christians) has been described in terms generally used in divorce cases – IRRECONCILABLE DIFFERENCES. The American Culture & Faith Institute conducted a survey which clearly displays the deep divide between the two warring political factions in our nation. One interesting facet of the survey is that the single most important issue causing the irreconcilable differences between the two political worldviews has to do with one’s worldview of God. It also explains why so many liberals are up in arms over everything President Donald Trump says and does. It often has nothing to do with what he actually does or says, but has everything to do with the irreconcilable differences between the two political factions, and until something breaks this deeply divided feud, nothing will ever be accomplished without major turmoil, bickering and lawsuits. 1) The insurance mandate that penalized taxpayers from not having healthcare insurance goes away. 2) Instead of federal subsidies, individuals may qualify for ‘advanceable’ tax credits to help in the purchase of healthcare insurance. The tax credit amounts will generally range from $2,000 to $4,000 a year for lower and middle income families, depending on income, family size and age. Many critics say that the replacement of subsidies with the tax credits will leave millions of lower class and elderly people without healthcare due to the costs. 3) Pre-existing medical conditions will still coverable, but like Obamacare, nothing in the new plan says the coverage for pre-existing conditions will be affordable. 4) A broader selection of different types of policies will be available, including catastrophic policies. 5) Children up to the age of 26 will be allowed to remain under their parent’s healthcare policy. 6) Although Medicaid may first expand, it will eventually be reduced. 7) Most of the hidden and not-hidden taxes invoked by the Affordable Healthcare Act will be repealed. Some of those taxes involved prescriptions, over the counter medications, medical devices, etc. 8) The coverage for the ten essential healthcare benefits outlined in Obamacare will still be required. However, after December 31, 2019, those essential benefits will no longer be required in all policies, but will still be available depending on the needs of the policy holder. How this may help is an older couple will no longer have to pay for maternity or contraceptive coverages they no longer need, now will individuals be forced to pay for state Medicaid coverage they don’t need. 9) Under Obamacare, tax-exempt health savings accounts were capped at a maximum of $3,400 for individuals and $6,750 for families. The new limits would be raised to $6,550 for individuals and $13,100 for families. One thing to consider with all the hype thrown at Obamacare and the GOP replacement healthcare is that it really only effects less than 10% of the entire US population. One report says that only 7% of the American population purchases their own healthcare insurance. Based on the population clock kept by the US Census, the current population is approximately 324.67 million meaning that only around 22.7 million are actually affected by the biggest story in the media. If you’re one of those, then it is a big deal and you’ll want to follow along and learn as much as possible of what kind of coverage you’ll get and how much it will cost you. For reasons, completely unknown, the Democrats decided to tap former Kentucky Governor Steve Beshear to deliver the liberal party’s rebuttal to Trump’s address to Congress. With many prominent Democrats in Washington DC, it was more than a surprise to learn that Beshear was chosen for the sacred honor of ripping the President’s address to shreds. Perhaps one reason is the Beshear is a devout Obamanite disciple and did everything his master asked him to do. Ask yourself why would the Democrats choose someone who just lost his political office to a Republican political novice who sounds a lot like Donald Trump? Republican Matt Bevin is a businessman who, like Trump, opposed many of the bureaucratic dictates of the Obama administration and defeated Democrat Jack Conway by a 511,374 to 426,620 vote margin. Steve Beshear was elected governor of Kentucky in 2007. He had a big political following in the good ole boy state since he served in the state House of Representatives, state Attorney General and Lieutenant Governor. Once Barack Obama was elected, Beshear quickly made it known that he supported Obama’s socialist agenda 150%. He couldn’t wait to implement Obamacare in Kentucky. When he was selected to be the mouthpiece for the Democratic slander of President Trump, Beshear was touted as being a champion of Obamacare in his state. All the media outlets bragged about how Beshear’s implementation of Obamacare lowered the state’s uninsured rate from 20% to 7.5%. What they didn’t report is how much that was costing Kentucky taxpayers and how some people in Kentucky still could not afford the outrageous premiums associated with Obamacare. After only a month in office, Bevin announced that he had put a plan in motion to transition from a state healthcare exchange program to using the federal exchange. In his statement, he stated that it makes no sense to pay twice for the same thing, meaning that those of us in Kentucky are paying taxes to support the federal exchange program and we pay state taxes to support the state exchange program. That’s an example of the failed economic plans of the Democrat Party. Perhaps another reason so many people in Kentucky were able to get healthcare coverage under Obamacare is that they were able to qualify for the federal subsidy. We live in Kentucky and know of a number of residents who were able to purchase healthcare coverage only because they qualified for a federal subsidy. Every one of them said that without the federal subsidy, they would not be able to afford coverage because the costs were so high. How high are the costs of Obamacare in Kentucky? My wife has a heart valve issue that is controlled with medication. I have Type 2 diabetes, high blood pressure and am overweight. When we priced an Obamacare policy in the Blue Grass State, we were shocked at the high price. The cheapest plan we could find was a bronze tier plan that had a $4,000 deductible and once that was met, would only pay 60% of covered expenses, which really equates to paying less than 50% of medical costs. How much did this great healthcare policy cost? $816 a month or nearly $10,000 a year. That’s like making a second mortgage payment each month for a plan that would still cost us thousands of dollars out of pocket. “Even more troubling is that you and your Republican allies in Congress seem determined to rip affordable health insurance away from millions of Americans who most need it. Oh really? Didn’t Obama promise that everyone in America would be covered under the Affordable Care Act? Didn’t Obama promise that the Affordable Care Act would lower the costs of healthcare insurance and increase the benefits, services and options everyone would have. Millions of Americans lost their healthcare insurance under Obama. Millions saw their premiums skyrocket while the benefits, services and options drastically decreased. Thousands of doctors left the medical profession, numerous medical facilities and hospitals stopped taking Medicaid and other Obamacare patients because they were not getting paid as promised and many insurance companies have dropped policies and withdrawn from Obamacare. And Beshear has the gall to criticize President Trump and Republicans for wanting to fix what they failed to deliver in the first place? This whole mess was created by liberal Democrats, not Republicans, so why are Republicans being vilified for wanting to fix or replace the Democrat’s disastrous program. During his presidential campaign, Donald Trump promised to repeal and replace the Affordable Care Act, also known as Obamacare. He and others have pointed out the many problems associated with Obamacare. Millions of Americans have seen their premiums skyrocket and their coverage decrease meaning they are paying more for less. A growing number of doctors left their private practices, either joining a larger medical group or finding a whole new profession because under Obamacare, they earn less and have more rules and restrictions and paperwork. A number of hospitals have stopped accepting patients on Obama’s expanded Medicaid because they are not getting reimbursed for services as promised and are losing too much money. Obamacare established a number of co-ops to help provide coverage for lower income people, however, the majority of the co-ops have failed and closed. A number of the major healthcare insurance companies have dropped many of their Obamacare policies and others have or are planning to completely withdraw from providing any Obamacare policies. Millions of Americans have had their healthcare policies cancelled on them. On a more positive note, a number of lower income individuals were able to purchase healthcare coverage with the help of the federal subsidies. Additionally, many people with pre-existing conditions were also able to obtain healthcare coverage for the first time in years. However, even though Obamacare promised that pre-existing medical conditions would be covered, it never promised that coverage would be affordable. My wife has a minor heart condition that is treated with medication. I am overweight and have Type 2 diabetes and high blood pressure. When we shopped for healthcare, the cheapest policy we found was a bronze-tier plan that had a $4,000 deductible and then would only pay 60% of covered items and we all know how ‘covered items’ works. For this wonderful healthcare insurance policy, it would have cost us $816 a month. Like most Americans, there was no way we could afford to pay that much a month for so little coverage. It was cheaper to pay the tax penalty for the first couple of years. Thankfully, we both have Medicare now which although not great, is better than nothing. In the wake of the election, President Donald Trump has vowed to keep his promise on Obamacare and has tasked Congress to come up with a workable replacement. In the meantime, many Americans have been protesting and telling their politicians in Washington DC and the liberal media that they fear they will lose their current healthcare coverage if Obamacare is repealed. Trump has tried to reassure the worried public by saying that everyone will be covered, but saying and doing are two different things. Many liberal critics have been saying that the Republicans have no plan to replace Obamacare with and others are saying that they have no idea how to proceed. No matter what the Republicans do or how good of a replacement they come up with, liberals will still pick and choose on what aspects to complain about. Not everyone will be satisfied and someone will always be unhappy and complain. A recent report indicates that Washington Republicans are working on a draft for a healthcare replacement of Obamacare. Like most drafts, it is subject to change, so people should not start getting too worked up or bent out of shape over the preliminary reports such as those currently surfacing. The problem I see with offering a tax credit is that it only applies when you file your taxes, not when you have to pay out that monthly premium while trying to pay your mortgage/rent, keep the utilities on and food on the table. Like I said, this is an early draft and subject to a lot of change. I don’t envy those men and women tasked to find a workable placement, but be assured, Republicans are working on a plan and hopefully, it will be better than Obamacare.